London Driving Schools in Raynes Park offers cheap and effective driving lessons in Raynes Park. Our male and female instructors provide quality driving lessons in automatic cars as well as manual cars in Raynes Park. LDS have both male and female instructors who are highly qualified for the convenience of learners. Experienced instructors of Raynes Park Driving Schools give their best to equip you with quality driving techniques. As your success best defines our goals. Your driving journey with London Driving Schools in Raynes Park starts from the quiet roads. The purpose to start from quiet roads, is to give the driver confidence to handle the pressure of control over their car. Instructors of Driving Schools in Raynes Park suggest Parkway as an ideal place for this. After making sure that you are getting good grips with the basics, then the driving lesson in Raynes Park are shifted on to the relatively busier roads to give you the test of different road conditions, layouts and driving situations. This practice not only helps you to learn effectively but will also be helpful at the time of your driving test. Raynes Park is located to the south of Wimbledon and to the east of New Malden New Malden and north of Motspur Park and Worcester Park. We also help our students in getting a driving license quickly, so your learning journey with us will be stress free as we’ll do some of the work for you. All the driving instructor of London Driving School are DVSA certified. Are you are confused regarding the right course selection? Contact us and we will be pleased to help guide you through the best course selection within your budget and convenience. More than 90% students of London Driving School pass their driving test at the first attempt which is the proof of our quality driving training. Thorough practice of driving lessons in Raynes Park area. Taste of all type of road conditions and hazards during learning. Don´t wait to enjoy the freedom of driving. 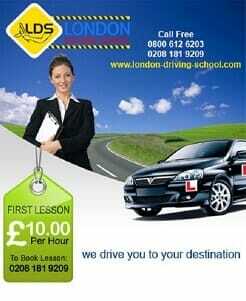 Join London Driving School for quality driving learning within your budget. We provide a range of driving courses in Raynes Park and driving lessons each carefully designed to help you achieve your driving licence in the quickest possible time in SW20. Refresher Driving Courses, ideal for those wanting to brush up on their driving skills in Raynes Park. Advanced Driving Courses, for those wanting to take their driving ability to the next level. Motorway Driving Courses for those in Raynes Park wanting to gain extra confidence in their motorway driving abilities. Pass Plus Driving Courses, to give you extra confidence once you have passed your driving test, along with substantial insurance discounts in Raynes Park area. Are you new to the Raynes Park area and have previously lived outside of London or in another country or you have not driven for a while? 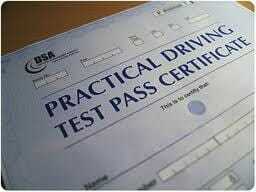 LDS would recommend you take some additional lessons in your local area to improve your driving knowledge. This will also give you a better awareness of the many different road hazards, road layouts, signage and traffic that you can expect to find whilst driving in and around Raynes Park. Many people find the prospect of driving in heavy slow moving traffic a bit daunting. With our tuition we can have you driving confidently around safe in the knowledge you have the skills and experience that you need. When it comes to making a choice our London Driving Schools in Raynes Park is the smart option. We can also provide you with an emergency driving test vehicle. If you need a vehicle in Raynes Park to take your driving test in at short notice give us a call. Give London Driving Schools in Raynes Park a call today and book your first driving lesson for only £10. See our Testimonials to find out why you should be joining London Driving School in Raynes Park.